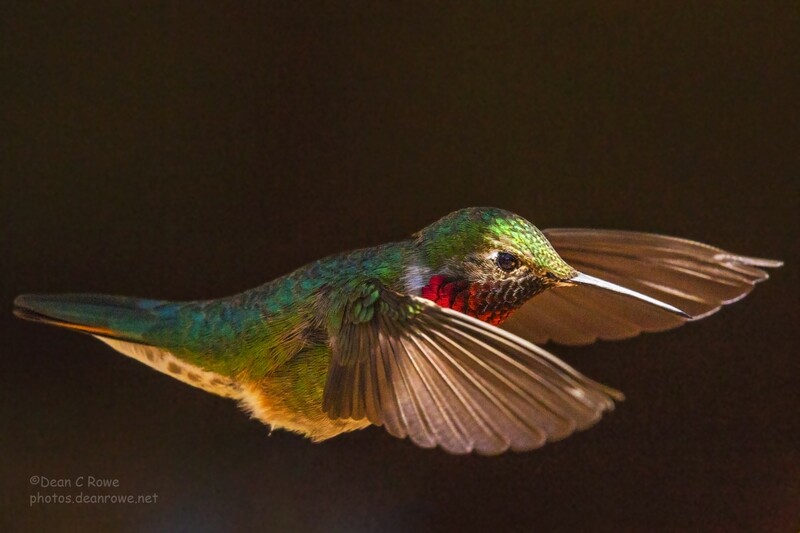 I added a new page, linked in the banner, with all of my hummingbird photos for this season. I’ll be updating it with new photos as the summer progresses. The page can be found at this link. 2016 Hummingbird Season Has Begun! They’re back! This is my first decent shot of the season. I ended last year shooting hummingbirds with flowers, but I don’t have any yet so I shot this at the feeder. Image details are the same as last year – Canon 5D Mark III and Canon 70-200L f2.8 II at 200mm, 1/8000 second, ISO 3200, F/9 using a Catus laser detector to trigger the exposure. No flash was used (they startle the birds). 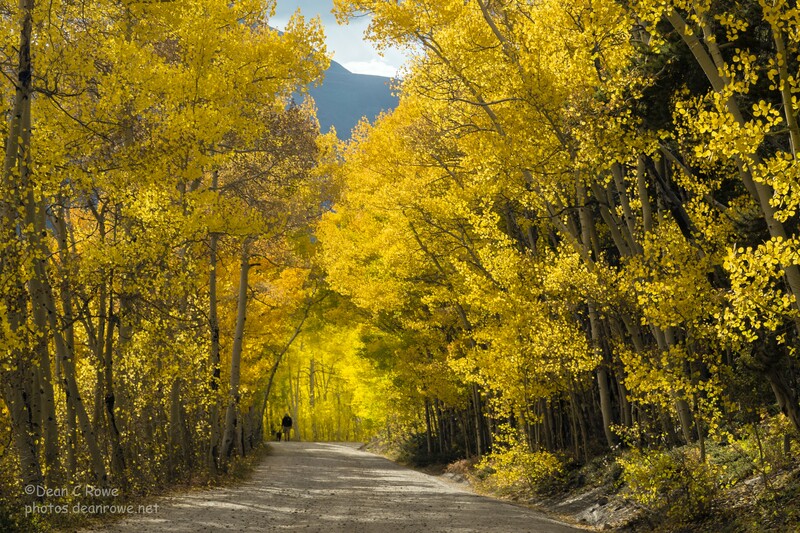 A man walking with his best friend among fall aspens near Boreas Pass. Summit County, Colorado. This was taken in the evening on a mostly cloudy day. The sun had just peaked out of the clouds highlighting the man and his dog as they came around a curve in the road. Canon 5D Mark III 1/80 second at ISO 100 with a Canon EF 24-70mm f/2.8L II at 70mm & f/8, no filters. 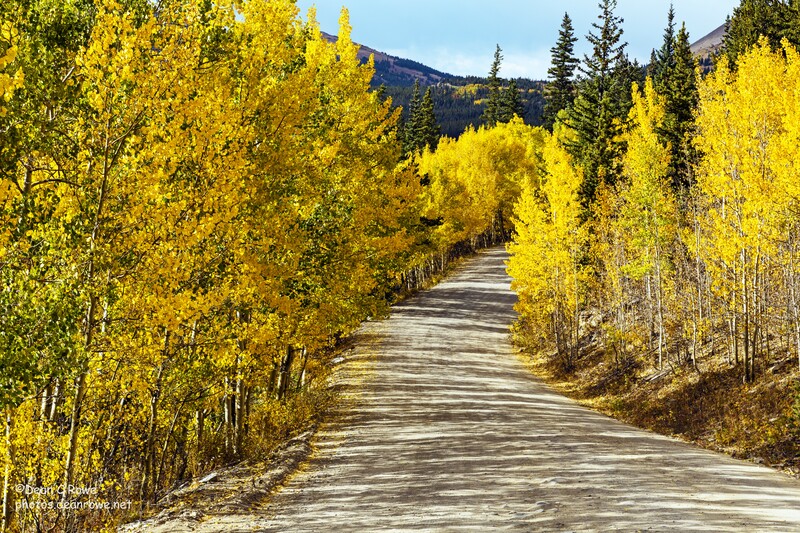 Evening light casts an interesting pattern of shadows across Boreas Pass Road . 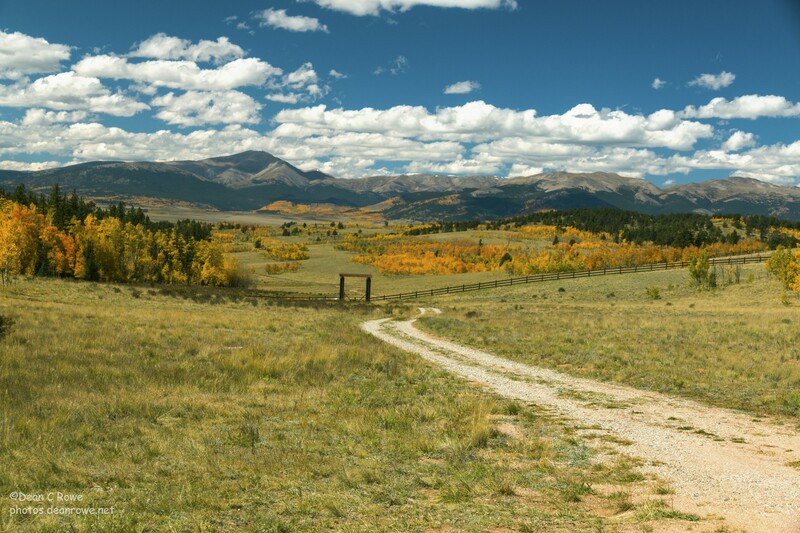 Near Boreas Pass (east side), Park County Colorado. Canon 5D Mark III 1/200 second at ISO 100 with a Canon EF 24-70mm f/2.8L II at 70mm & f/8, no filters. Canon 70D 1/250 second at ISO 200 with a Canon EF-S 15mm-85mm at 35mm & f/8, no filters. 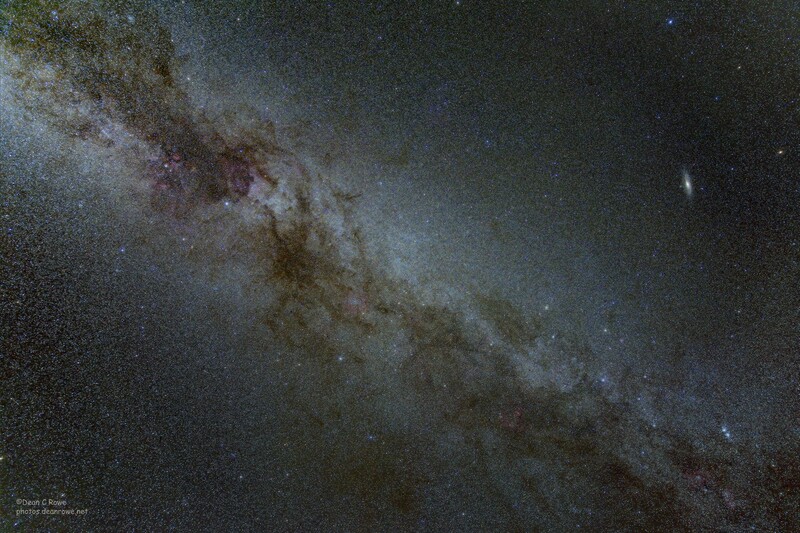 This shot of the Milky Way is made up of a total exposure time of about one and a half hours. Visible to the upper left is the Andromeda Galaxy with the Double Cluster (NGC 884 & 886 below that). Various red emission nebula are visible as well, notably the IC 1318 complex and North American (NGC 7000) and Pelican (IC 5070) nebulas at the upper left quarter. North is to the left. To get such a long exposure time, I took what might be called a Deep Sky Astrophotography approach instead of a more traditional Landscape type approach. A common Landscape approach is to take a single (or sometimes multiple) exposure of a few (10 to 30) seconds at high ISO on a stationary tripod. The exposure time is limited to a few seconds because the earth’s rotation will cause trailing with longer exposures. Often times a terrestrial foreground is included (some examples of mine here here and here). While this approach can result in very attractive images, the short exposure and high ISO can not capture the more fine and dim details of the Milky Way. To get around this limitation of short exposure times, I took the approach more normally used to image dim Deep Sky Objects or DSOs (see my DSO work here). The main part of that is to use an equatorial mount to track the stars as they move across the night sky. The drawback is that any foreground objects will be blurred due to the mounts movement as it tracks the stars. I had some (blurred…) trees in the corners that I cropped out. Canon 5D Mark III with a Canon 27-70 2.8II at f/2.8 & 28mm on a Takahashi NJP equatorial mount unguided. 13 eight minute exposures at ISO 400 stacked with Deep Sky Stacker. 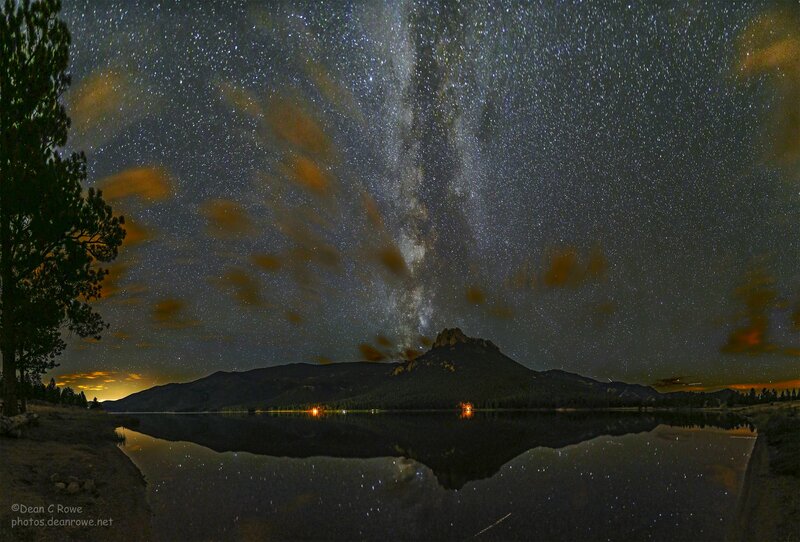 Storm clouds give way to reveal the Milky Way reflecting on Wellington Lake, Jefferson County, Colorado. This is mosaic of 27 images spanning 180 degrees. Canon 5D Mark III with a Canon 16-35 2.8II at f/2.8 & 16mm . Twenty seven 30 second exposures at ISO 3200. RAW files converted to tiffs with IrfanView (to avoid magenta casting in the shadows) then stitched into a mosaic in Photoshop CS6.